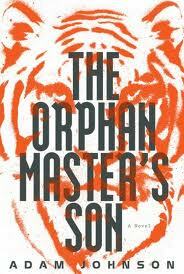 The Orphan Master's Son, by Adam Johnson. Very much worthy of this prestigious award, this novel was one of my very favorite books last year. Not that he or anyone from Random House will ever see this post, but my congratulations on the win. I LOVED this book and have not read anything like it since. If you haven't read it, run, do not walk and get a copy!!! Wholeheartedly agree Nancy... was one of my top two Best Books of 2012 also.... And I do believe I bought my copy after reading your review. Thank you. You're welcome! I chose this book for my book group some time back, and everyone grumbled at the size, but they were all just as caught up in it as I was after reading it. I don't often get all that swept up in awards, but this one soooo deserved it!